ZR2| Safety Protective Equipment Canada - SOS Safety Int. Inc.
A technologically advanced cover compound for today’s advanced conveyor systems! 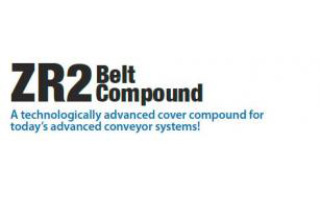 ZR2 belt compound has a DIN of 25 and meets ARPM Grade 1 specifications. These characteristics result in an extremely durable belt that is resistant to rips, tears, and abrasion. Fenner Dunlop’s ZR2 belting compound was recently field tested at Glencore Xstrata’s Lomas Bayas copper mine in northern Chile. 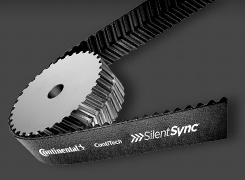 The Tripper #1 belt which is 48” (1,219mm) wide, 11 meters long, comprised of 3 plies with a 450 PIW rating conveys 2,800 TPH from the crusher at a belt speed of 3.7 m/sec. It lasted significantly longer than the previous 5 competitor belts used on the same conveyor under identical conditions. 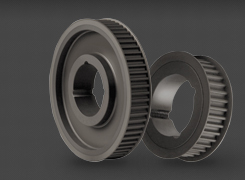 ZR2 belt compound has a DIN of 25 and meets ARPM Grade 1 specifications. These characteristics result in an extremely durable belt that is resistant to rips, tears, and abrasion. The numbers are impressive, but the true value of the compound was demonstrated during field tests over a 87 day period. 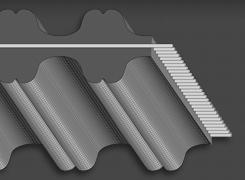 The operator intended to replace the belt when the minimum cover thickness reached 3.5mm, projected to be reached at 98 days- 2.2 times the average life (45 days) of 5 previous competitor belts. The speed and length of the belt resulted in an average of 12,206 cycles per day at an 84% utilization. The extreme conditions and number of cycles were ideal for testing the high performance ZR2 compound. The cycle count comparison provides a good barometer of how long the belt will last for other, lower cycle applications. The ZR2 compound was uniquely designed to withstand the harshest hard rock mining conditions, minimizing abrasion, rips, and tears. ZR2 meets ARPM Grade 1 specifications and has a DIN of 25mm3. Fewer belt replacements result in lower labor and material costs. The increased up-time associated with reduced maintenance yields Higher Production! ZR2 can be used with most Fenner Dunlop Carcasses including: PSR®, UsFlex®, NovaCore™ and DynaFlight®.